Hi, I’m Svet! In my practice as an experienced (20+ Years) web developer, project manager and entrepreneur I helped a lot of people to make and host their websites. Now I’m here to show you how to publish your WordPress personal blog or business web site in Internet, and how to find and use the best solution for you. Step #1 – What is it? 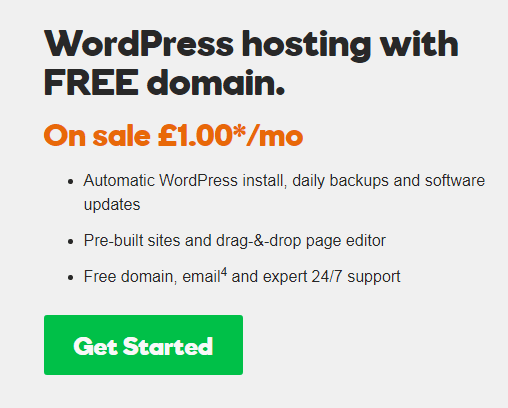 A WordPress web hosting service allows way to publish your website in Internet, and depending on its type it could be Shared, VPS, Dedicated, Managed, Cloud or Reseller. Shared – the most popular and cheapest one, and it means that on one web server could be stored hundreds or even thousands of websites. In most cases all the websites shared the server resources and use a single IP address. This is a great way to get started and typically you’ll have some storage, bandwidth or monthly visitors limitations. Also, you’ll not have direct server memory access and you’ll not be able to use memory caching, so you should use hard disk caching instead. This type of service is excellent choice for a small personal blog, business or eCommerce website with a low traffic. VPS – Virtual Private Server is more advanced solution which means that you’ll receive your own server, more resources and direct memory access, so you could use memory caching for your website. Typically on one physical server there are between 2-20 Virtual boxes and each of them has dedicated RAM and CPU resources. You’ll have remote desktop and could install what applications you want. This type of service is a good choice for a website which needs more disk space and bandwidth and also has a higher traffic. Dedicated – this is the most advanced and powerful solution and the main difference with Virtual Server is that you’ll have 100% of the server hardware resources. It is a perfect choice for big eCommerce projects with a huge traffic or if you need to get space many smaller websites. Typically you should manage the server yourself (installs, updates, backups), so you should have admin knowledge or to hire administrator for these tasks. The other option is to get a Managed Server service. Managed – if you would like the provider to manage the installation, setup, backups, security and updates then this is the right solution for you. They also will tune up the installation to achieve higher performance. Cloud – if you expect high traffic growth of your website or blog then the cloud service is a good choice. With it you could scale your resources as RAM and CPU usage on the fly. Reseller – this is a good choice for web agencies and developers which manage the projects of their clients. The plan could be even “white label” which means that you’ll look as the provider. Domain Name. This is what will be name of our website or blog. Some hosts provide a free domain name with their plans, so is this an important factor for you then you should choose a company offering such add on. The number of hosted websites. It could be a factor when we choose our plan. Some hosts offer multiple domain support with their shared plans, but the practice showed that at beginning you’ll have one website. PHP and MySQL support. You should check the supported version and your requirements. The most recent ones to install and run a web site or blog are PHP version 5.6/7 or greater; MySQL version 5.6 or greater OR MariaDB version 10.0 or greater. Hard Disk space. If you have a lot of images or huge database this could be one of the most important factors. Also, you should take in mind that the SSD storage is more faster than the regular one. Speed. The speed depends on 2 factors: the server hardware and network connectivity and server location. The main important hardware parts which are important to have faster service are the server CPU and hard disk (the SSD is more faster than the regular one). The second factor is the server location, if you are in U.S. then USA based server will be faster than by example Australian one. Of course you should make a little compromise between the speed and the price, because more expensive server will be faster than cheaper shared plan. Monthly Bandwidth. This is the monthly traffic limit. Make sure to understand how they measure the traffic – only the downloads or uploads too. Monthly visitors limit. Some companies make such restrictions, and usually they do not limit the monthly bandwidth. You should check what is this number and your traffic expectations. Access to Free Themes and Plugins. This could be important factor for you, especially if you plan to use some commercial theme or plugin and its included in the plan. Site Backup. Check the number of backups, this is very important feature, because sometime you could need to reinstall the project or to move it to another server. I make (set schedule) backups ones per day. Uptime and Money-back Guarantee. A good service include at least 99.9% uptime and 30 days money back guarantee. Customer Support. You should receive 24/7 support. It could be via email, chat or phone. Bellow you’ll find my favorite Web Hosts and I’ll explain why I’m using their services. You’ll not find the Top 10 list but only 2 companies which covers all of my needs. Some of the links below are affiliate links, which means that if you choose to make a purchase, I’ll earn a commission. This commission comes at no additional cost to you. Please understand that I have experience with all of these Hosts, and I recommend them because they are helpful and useful, not because of the small commissions I make if you decide to buy something. Please do not spend any money on these products unless you feel you need them or that they will help you achieve your goals. 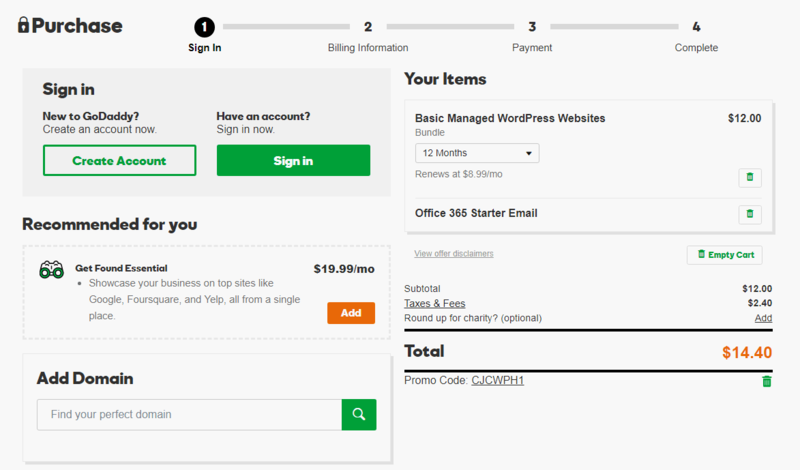 Free domain with annual plan. PHP 7.1, 7.0, 5.4-5.6, and MySQL 5.6. They provide services in USA, Canada, UK, India and Australia. Access to thousands of free themes and plugins. Their custom-built themes are complete and ready to customize. Just choose your industry and they’ll give you a ready-made website, complete with relevant images. Managed service. They provide automatic core software and security updates. Free daily backups & 1-click restore. 99.9% uptime promise and money-back guarantee. They do not provide free domain with your server, because assuming that you have huge project or a lot of sites you’ll not need it. “Unlimited” websites (based on your content, traffic and server power). They support the latest PHP and MySQL versions, also you have the power to install on the server what version or software you prefer. At least 2 x 250 GB SSD Primary Storage. They have wholly owned core data centers in US Central Servers (Michigan), US West Servers (Arizona) and EU Netherlands (Amsterdam). They provide Fully Managed support which means that they’ll help handle software updates, security patches and the LAMP stack. 1 TB SATA Backup Drive. 100% Network and Power Uptime SLAs. 24/7 On-site Support via Phone/Chat/Email. 1. Go to their website and choose the plan you like. 2. Click the “Get started” or “Sign UP” button (It could be named differently but usually is something like this) bellow the plan. 3.On the next screen type the desired domain name or search for it if you want to register a new one. If it’s available it will be added to your order, and in most cases it will be free for the first Year when you open a new account. If not, you should make a new search till you find available for registration name. 4. On the next screen along with your order you will have 2 options: “Create Account” (if you are a new customer) and “Sign in” (if you are already a customer). Select the first option. 6. 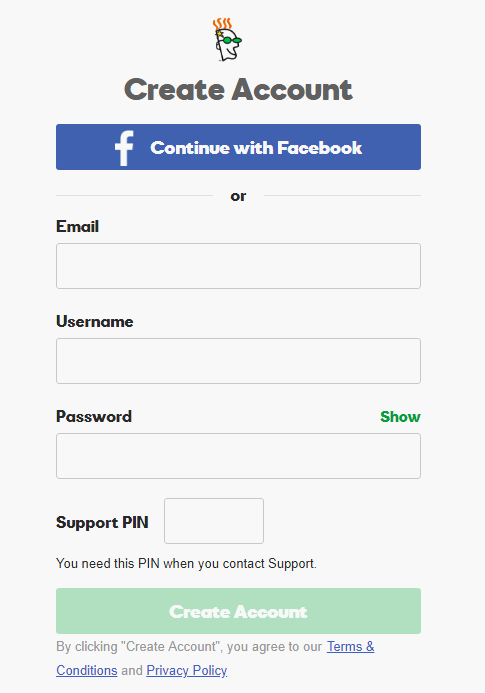 On the next step you should enter your credentials such Email, Username and Password and click the “Create Account” button. 7. On the final step you should make the payment, it could be done via Credit Card or Paypal. I prefer to use a Paypal, because in this way my Credit Card is more secured. 8. You will receive confirmation about creation of your account and payment, as well as technical details about your account and new site (as IP address, DNS etc..). – DNS Server Settings. You should enter the DNS info which you received when created your new account (Step 8). – Changing the Host Records (Point your domain to a web site by pointing to an IP Address). You could see an example bellow, just change the IP address with your own received in Step 8. You’ll not be able to use your domain name, but Subdomain provided for you. You cant’s use corporate/your domain emails. There will be third party Ads displaying on your site. There could be limitation regarding theme design customization, which means that you cannot optimize your site for importing factors as fast loading and SEO (Search Engine Optimization). There will be a footer branding of the company provided the service. You’ll have a limited hardware resources as Storage Space, CPU and Bandwidth. You’ll not receive quality 24/7 technical support. So, it seems that the free service comes with a “price”, and you should be very careful when you make your choice. Can I get account without Pageview/Traffic Limits, so not to be additional charged? Yes, more advanced plans are without Pageview/Traffic Limits, so if you have reached such limitations then it’s time to get more advanced solution. Can I host my site using Windows instead Linux Server? Yes, definitely you could use Windows Server and easily install, update, and manage your website on both operating systems. All settings are the same except that in Windows you will use web.config and in Linux .htaccess configuration files, which have different syntax. Can I test some host before I make a decision? Yes, just make sure to have a “money back guarantee” when you choose your plan. The typical period is one month, so you could cancel the service and get your money back if you are not happy. Do I need technical knowledge to get a hosting account? For me the speed is very important. How to find the fastest service? – Server hardware. 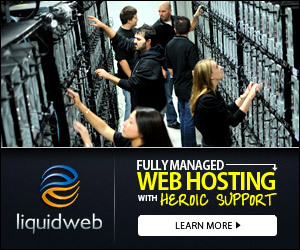 You will have and use more hardware power with more advanced VPS and Dedicated plans. – Server location. If you target U.S. based visitors/customers then you should get and use a local based service. You could also use a CDN solution. I want my site to be secured and load over HTTPS, shall I have a free SSL? Every single plan you order comes with its own SSL certificate without any additional cost to you. The most popular control panels cPanel and Plesk provide free SSLs, so if you don’ t see this option just ask your provider. Is GoDaddy the best provider? GoDaddy is a perfect choice if you just get started, because they provide very affordable plans for beginners, but if you need more advanced options or your provider to be on particular location, then you could consider other companies as well. Is the Fully Managed plan right for me? If your site does not use some theme or plugin customizations then the Managed plan will be right for you. But if you make some customizations and code changes then you should be careful with this option and to make a regular backups. Shall I have a Full Server Access? Most hosts will give you at least FTP and MySQL access. You could configure most of the server options via your control panel. Shall I have Automatic Daily Backups? Yes, it’s by default option with the most plans. Usually there are daily backups, and if you want to restore it’s just a click of a button. What provider/plan should I choose for an eCommerce website? For me the right choice here is not based on “if you want to make online sales”, but considering two important factors as “how many visitors you will have” and “how many products/services you will have”. I will suggest a VPS (Cloud) or Dedicated solution if you have more than 5000 visitors daily and more than 1000 products. Congratulations – you’re ready to launch your website! …if you still have any questions, don’t hesitate to get in touch with me.